Arlington, VA - GoldCleats is proud to announce we have officially been awarded as a Google Partnership company after going through numerous applications and interviews with the Google team. Google looks to select a small number of high growth potential start ups throughout the year to partner with and GoldCleats has been selected in their Quarter 3 class of 2015. 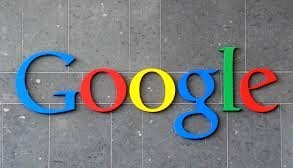 GoldCleats will begin working with Google to launch a digital marketing campaign targeted at international youth footballers (soccer players) through a number of Google assets including Search, YouTube, Gmail, Google Ads, and new beta platforms exclusive to new partnership companies. GoldCleat's Chief Marketing Officer, Kyle Hendrick, said "With unique access to Google's expansive data sets we will be optimizing our campaign to get our brand in front of the exact target market we are after, youth footballers. Through pooling just a little bit of data we collectively were able to identify that through Google assets 200,000 youth players globally are looking for a way to be discovered on a daily, yes daily, basis." GoldCleats in partnership with Google is preparing for a large influx of new users and youth players from around the globe to compliment their existing network of over 65,000 players from 131 countries. Once this player pool surpasses a certain threshold they will be introducing their existing agent and scout network which is over 6,000 industry professionals strong.